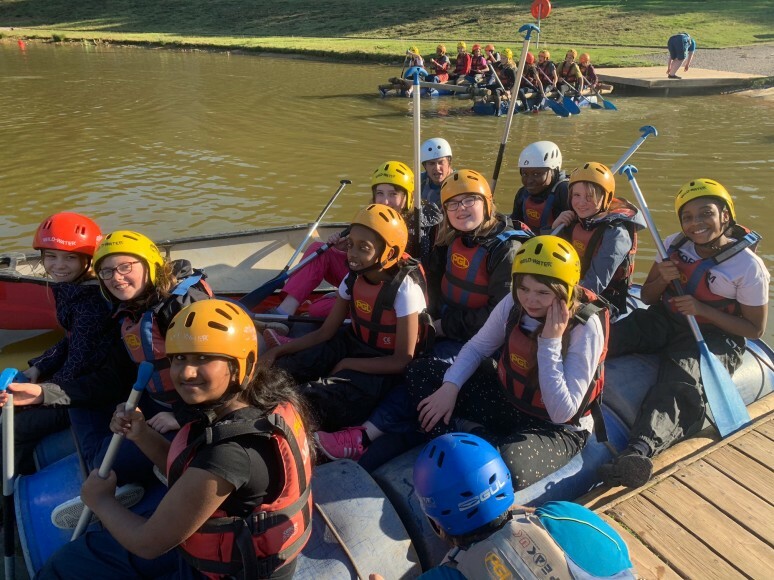 The year 8s have recently returned from their camp to Marchant's Hill in Surrey. We had 8P and 8R attend Monday- Wednesday and 8E and 8N attend Wednesday - Friday. All students who attended had an amazing time on the PGL organised trip. The year 8s participated in a range of activities from aeroball which tested students' ability to shoot goals whilst on a trampoline. 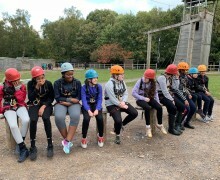 To more heart racing and daring activities such as zip wire, the leap of faith and the giant swing. 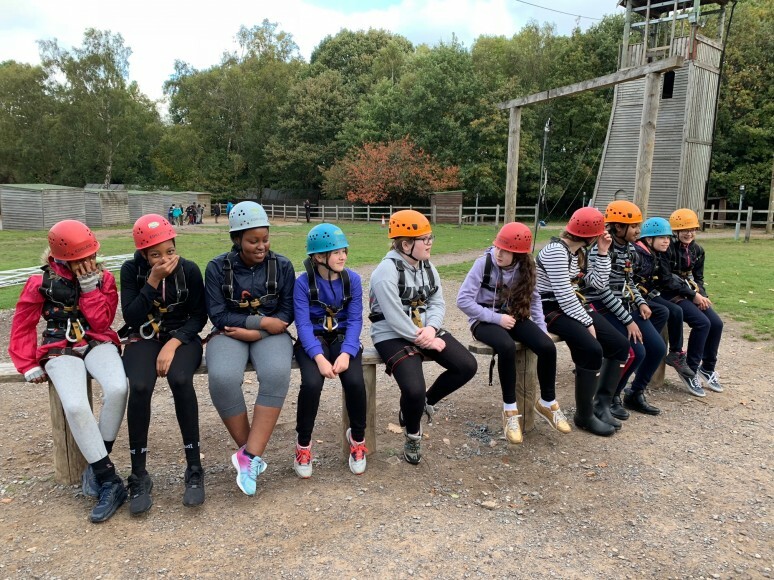 During these activities we saw not only the individuals step up and face their fears but we witnessed the cohort come together to support each student during these activities. The teachers were overwhelmed by the support students were showing each other. 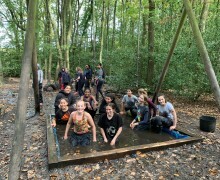 The year 8s also took on 'Tough Mudder' like challenges as they army rolled through mud, over large obstacles and through muddy water pits. 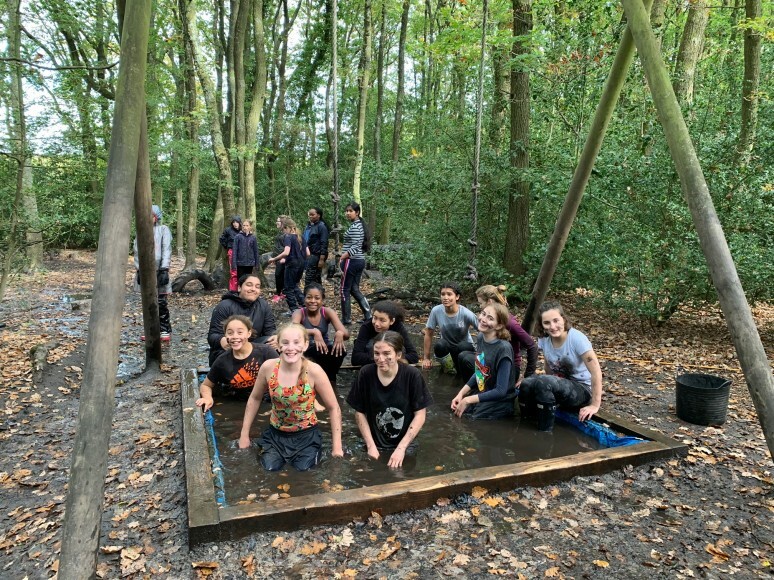 It was great to see every student laughing as they were covered in mud head to toe by the end of the activity! Overall the Marchant's Hill trip was a huge success and we hope that each of the students not only enjoyed the trip but were able to take something away from the experience.